This tour takes you from the centre of Vietnam to Ho Chi Minh City. You’ll visit My Son, the brightly lit cobbled streets of Hoi An and the tranquillity of the Six Senses resort and its beautiful private beach, before you end the trip with a wonderful dinner at the Mandarin Oriental hotel in Bangkok. When you arrive in Bangkok you’ll need to go to the Novatel Hotel desk to catch the free shuttle service to the Novotel. The Shuttle service runs every 15 minutes between the airport and the hotel. After breakfast you’ll be transferred to the airport for your flight to Danang via Hanoi. 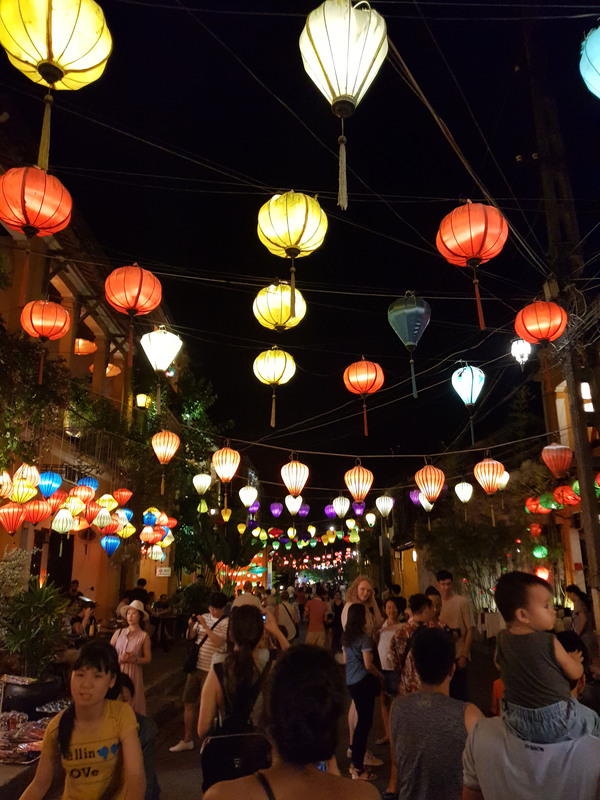 Upon arrival in Hanoi you’ll need to change flights and connect with your flight to Da Nang. 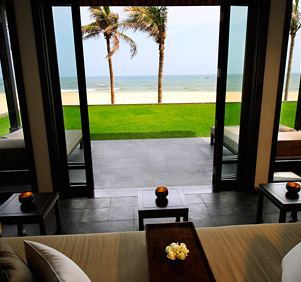 When you arrive in Danang you’ll be met and transferred to your hotel in Hoi An for check in. My Son is one of the foremost Hindu temple sites in South East Asia. For the Cham civilization that ruled Central Vietnam from the 2nd to the 13th century, My Son was an important religious site and place of worship. A one and a half hour drive from Hoi An will bring you to My Son where there are 20 monuments still standing today. The temples are set in a verdant valley surrounded by hills and overlooked by the impressive Cat Tooth Mountain. Stroll around this UNESCO listed temple complex to learn about the Cham culture, architecture and civilization before returning to Hoi An. From the 16th – 19th centuries Hoi An drew merchants from as far a field as India, Japan, Indonesia and Europe, who would come here to trade in silk, spices & porcelain. Today, the town has been beautifully preserved, retaining much of its charm and has been listed a World Heritage site by UNESCO. At night, traditional Chinese lanterns illuminate the streets of this delightful riverside town and one can while away the hours watching the world go by over a coffee, have a new wardrobe tailor made and wander through the Japanese, Chinese & French quarters while you wait or simply browse the many colourful shop fronts for local artwork and souvenirs. Some of the main sights to visit include the Chinese Assembly Hall, the Japanese covered bridge, ancestral homes and the nearby Cua Dai beach. After breakfast you’ll be transferred to the airport for your flight to Nha Trang. Upon arrival in Nha Trang you’ll be met and transferred by road to the pier where the resorts boat will take you to your hotel. For the next three days you can sit back and relax in the beautiful beach spa resort of Six Senses Ninh Van Bay. Some of the facilities and activities offered at Six Senses are the Spa, Steam and sauna facilities, Fitness centre, Tennis, Volleyball, Library with Internet access, Mountain walks, Scuba diving school, equipped with the latest dive equipment, Full range of PADI dive courses, Windsurfing, Kayaking, Water skiing, as well as fishing trips which are also possible. Today you check out of your hotel at midday and take the Resort’s boat to the pier. There our guide will meet you and transfer you to the Evason Ana Mandara resort to check in. (Early check in Is not included). In the afternoon you will visit the mud baths and have a chance to soak in mineral enriched mud followed by hot springs. Once you’ve fully refreshed and cleansed you can return to your hotel. Ideal for those wishing to relax on the beach and perhaps indulge their appetites for fresh seafood, Nhatrang is a sun drenched beach destination in central Vietnam with long stretches of golden sands. Spend the day at leisure - make use of the resort's various water sports equipment or just take some time to explore Nha Trang, or simply relax in style. After breakfast you’ll be transferred to Nha Trang Airport for your flight to Ho Chi Minh city or Saigon to give its original name. Once in Saigon you will be met at the airport and transferred to your hotel. Cu Chi tunnel or Wildlife Sanctuary visit & Saigon City tour. You drive for two hours to Cu Chi. Here you have the choice of either the Tunnels or Wildlife rescue centre. The tunnel complex was started in 1948 to protect the Viet Cong from the French. The tunnels where also used for weapons storage, hospitals & living quarters by the guerrilla fighters throughout the war with America. The Cu Chi Wildlife centre is the first multi-species wildlife hospital & holding facility in southern Viet Nam. The main purpose is to help enforce the law by providing accommodation and care for wild animals that have been confiscated from illegal traders, while raising public awareness of the importance of conserving Vietnamese endangered wildlife. In the afternoon you head back to Saigon to visit the Notre Dame Cathedral, a red brick edifice with twin spires based on the original construction from Paris. (It is only possible to visit inside when no service is being performed) Then head across the square to the Central Post Office, designed by the French architect, Gustav Eiffel, before he had risen to fame for the Eiffel Tower. Finally, the former Presidential Palace. Upon arrival you will be met and transferred to hotel for check in. In the evening you will be taken to the Mandarin Oriental Hotel in Bangkok for dinner at Sala Rim Naam restaurant (dinner is included in the cost). Pickup & Transfer to Bangkok Airport for return flight. You will need to check out of your hotel at 12:00 pm, When you’ll be transferred to the airport for your flight home.